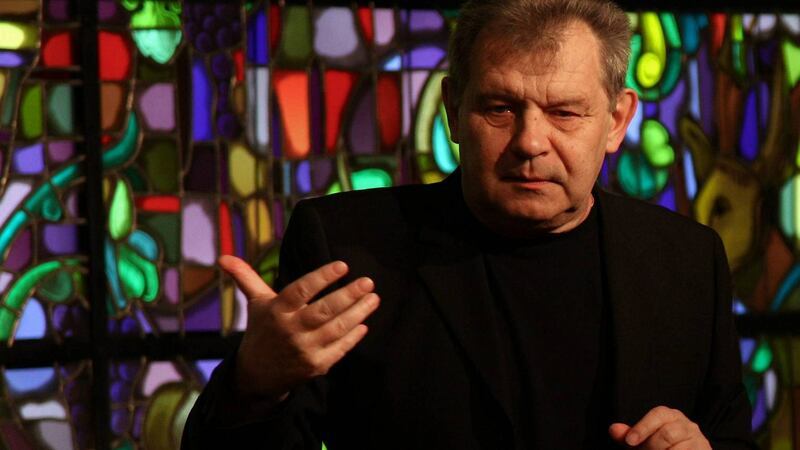 The Director of the Polish Royal Opera, Ryszard Peryt (1985 - 2005), has died. For twenty years he was the Director of the Warsaw Chamber Opera. His magnum opus was the production of all the stage works of Mozart. In 1991 twenty-five of these works were created to commemorate the 200th anniversary of the composer's death, at the time a unique European project. Annual Mozart festivals and cycles followed. Not only operas by Mozart but also Baroque operas by Peri, Caccini and Landi through an unforgettable Monteverdi cycle, a Handel festival and rarely performed work by John Blow, Henry Purcell and numerous others. His international directorial reputation was outstanding. 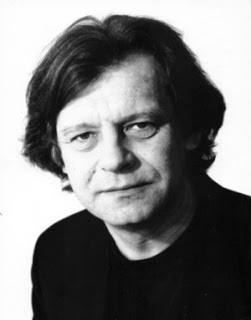 Here was a truly Renaissance man in many outstanding disciplines - director, actor, doctor and professor of theatre arts, lecturer at the Theatre Academy of Warsaw. He had been presented with many prestigious Polish cultural awards including the Polonia Restituta in 2008 and Zlota Gloria Artis in 2011 and in 2018 a musical award by the Polish Ministry of Culture. As I did not know him personally terribly well, I feel the finest tribute I can pay him is to recall my experience of his directorial achievements in Mozart during those unforgettable festivals in the 1990s in the golden age of Warszawska Opera Kameralna. His recent achievements at the Polish Royal Opera were also considerable but those earlier days had the deepest influence on me. The music of Chopin had been the overriding reason for my coming to Poland and it was with surprise and delight that in the space of six weeks I was unexpectedly presented with all twenty five works that Mozart wrote for the stage. Mozart was adored by Chopin above all others save Johann Sebastian Bach, so the connection with my beloved Polish composer was intensified. The cycle was performed by one of the most remarkable opera companies in Europe, the Warszawska Opera Kameralna (Warsaw Chamber Opera). Warsaw is the only capital city in the world where such an historically accurate Mozart cycle together with much of his instrumental music is performed on original instruments every year. Warsaw is no great distance from Vienna and Die Entführung aus dem Serail (The Abduction from the Seraglio) was produced in May 1783 by a touring German company for the birthday of King Stanisław Augustus Poniatowski just nine months after the Vienna premiere. Don Giovanni arrived in the capital to play in the National Theatre before the king in October 1789 with the same Italian Domenico Guardasoni company that had premièred the opera just two years before in Prague with Mozart conducting. His operas were performed in Warsaw well in advance of Berlin, Paris or London. The city has had a distinguished operatic heritage since the early baroque period when it was the only capital other than Rome to have had an opera theatre that hosted famous Italian soloists. Many works were especially written for the Warsaw stage during the Jagiełłon and Vasa dynasties of the seventeenth century. The volatile Tarquinio Merula wrote a theatrical duet called Satiro e Corisca for King Zygmunt III Vasa performed in Warsaw in the summer of 1626 some ten years before public operatic activities began in Venice. The Warsaw Chamber Opera continues this baroque tradition with a magnificent annual Monteverdi festival where all the composer’s operas and staged works are performed. The authorities finally allocated the company the use of the former Calvinist or Dissident Church, a fine neo-classical building by the Saxon architect Szymon Bogomił Zug. The small building was in disrepair and after a tortuous eleven years of redesign and procrastination opened in 1986 on the twenty-fifth anniversary of the foundation of the opera company. The auditorium seats 160 and the resulting intimacy is perfect for operas originally conceived for the court or theatres far smaller than today. The company under the talented theatre and opera director Ryszard Peryt coupled with the vivid scenic imagination of Andrzej Sadowski produced the unprecedented first Mozart festival of twenty-five stage works in 1991, the bicentenary year of the composer’s death. The opera company has made numerous recordings and as a musicologist he founded the Sutkowski Edition which publishes early Polish music, scholarly tomes on the history of Polish music and more esoteric subjects such The History of Polish Organ Cases as Works of Art. The young singers could be heard warming their voices with fragments of scales, popular tunes or the arias to come. A moment’s inattention might inadvertently allow a window to drift slightly open to reveal a costumed singer adjusting his wig or a soprano applying makeup or adjusting her breasts in a corset before a lighted mirror. A violin or flute from the orchestra might be practising a particularly difficult leap. The atmosphere was intimate, perfectly eighteenth century, an almost Commedia del Arte prelude of youthful exuberance in anticipation of the opera to come. My first experience of this theatre was with Lucio Silla, an opera seria composed in 1772 when Mozart was 16 for the carnival season at the Teatro Regio Ducale in Milan. The libretto for this unlikely triumph of virtue was by Giovanni di Gamerra, a writer fond of tombs and lugubrious plots, allegedly drawn towards necrophilia in private life. All Mozart’s musical strengths are here assembled waiting for a decent librettist and the darker shadows of personal maturity to take flight. The orchestra at the Warsaw Chamber Opera is concealed beneath a proscenium stage. To one side a small apron extends slightly into the auditorium where a harpsichord and cello continuo play under dim lighting. In this intimate theatre the singers seem enormous in stature, the slightest play of emotion visible, the vibration of the voice clearly felt. The intimacy allows a penetration of the mind of the character in a uniquely disconcerting manner. In Lucio Silla, the role of Cecilio, a Senator who has been proscribed by Silla the Dictator of Rome, was composed by Mozart for a castrato. Here it was performed as intended by the remarkable Polish sopranist Dariusz Paradowski with a voice as close to a castrato such as Farinelli as is possible today. This rare voice has an almost shocking affect when first encountered but Paradowski is a consummate actor with the male stage presence of a Nureyev and duly received the flowers and ovations of a star. The youthful operas of Mozart all possess castrato roles such as the lyrical intermezzo Apollo and Hyacinth based on Ovid’s Metamorphoses which he composed with a Latin libretto at the astonishing age of eleven. In the Warsaw cycle visual links are established between each opera in regard to scenery, costume and direction. Voices can be variable but the ultimate coming together of the production is magical under the highly imaginative staging of Ryszard Peryt. Through these rarely performed works and brilliant productions of the most famous operas (Don Giovanni, The Marriage of Figaro and Die Zauberflöte are all packed with wonderfully naive eighteenth century ‘stage business’) I was uniquely able to follow the astonishing evolution of Mozart’s operatic inventions as his dramatic genius unfolded. ‘Brother Mozart’ had also been involved with Masonic ritual from an early age when he set a Masonic poem to music dedicated to the doctor who had cured him of smallpox. This was long before his petition to the Fraternity which he joined in 1784 and before the composition of Die Zauberflöte. Music is utilised in many Masonic rituals which led him to compose for the brotherhood throughout his life, particularly the beautiful music for the initiation of his father Leopold. In 1773 Mozart was asked to supply the incidental music to the play Thamos, König in Ägypten (Thamos, King of Egypt) by Tobias Philipp Baron von Gebler. He was later to compose two small Masonic Cantatas. One entitled Die Maurefreude (K471) was composed in 1784 for Ignaz von Born, at that time Master of True Concord. The other, Laut Verkünde Unsre Freude (K623), was the last work he wrote for his lodge named New Crowned Hope. He conducted it on 18 November 1791 while still engaged on the composition of the Requiem. Two days later the composer took to his bed from which he never rose again. At Łazienki Park in the Theatre on the Island the Warsaw Chamber Opera created a visionary staged version by Ryszard Peryt of this incidental music fused with the music of the two cantatas. Late in the evening fluttering funeral candles were lit along the sinuous paths leading to the theatre from the entrance to the park. The orchestral pit lies before a strip of water which isolates the Theatre on the Island (inspired by the ruins of the Temple of Jove at Baalbek in Syria) from the Amphitheatre (modelled on ruins at Herculaneum). Trees were silhouetted against a fading summer sky and the leaves rustled in the light breeze moving over the shattered columns and pediments, the lake a dull mirror reflecting statues of the dying Gaul and Cleopatra. Together with the cry of peacocks ambling along the balustrades of the palace, one was lifted onto a plane of rare classical beauty. The overture began, music at once spiritually passionate yet graceful. Gradually the chorus, a semi-circle of black-robed hooded figures wearing silver medallions, emerged through the mist. Soloists in black robes entered with huge silver sculptures of mythical beasts reminiscent of Egypt or Assyria resting on their shoulders – a winged bull, a winged lion, an eagle and a winged human head. Behind them a sculpture had been assembled from cannons, the skeletons of horses, scythes, drums and the tattered banners of war, perhaps an oblique reference to Polish history. A dense moral argument unfolded with the chorus carrying splendidly grotesque banners of the Seven Deadly Sins. A cauldron of flame was lit in the centre of the stage and the winged lion crouched behind it intoning in a mysterious tongue. A mime lit a trough of fire that flashed across the entire width of the theatre coupled with an explosion of cannon which caused the sculpture of war to revolve. The darkness, the ancient ruins, the wind in the trees, the wood pigeons in panic seeking their night nests and the harsh cry of peacocks lifted this setting of the Mozart Masonic Liturgy onto a theatrical and spiritual level which was quite extraordinary. No production could have been more appropriate to the spirit of the original play which dealt with the Masonic conflict between light and darkness. I drank champagne with the artistic director Stefan Sutkowski under the stars and wandered out of the dark park following the trail of light of the now guttering funery candles. Great music creates a desire for itself, a desire for repetition like a profound sexual relationship. Such Warsaw nights at the Mozart festival sustained me through many of the reversals of fortune associated with that ill-fated project. A sopranist is a counterternor who is able to sing in the soprano vocal range. Much baroque opera originally written for castrati is now performed by this very rare male soprano voice. The even rarer ‘indocrinological castrato’ is different again from a sopranist in that he is a singer who has an hormonal disorder that prevents the larynx developing in puberty and the voice from breaking. Such a singer might have the range to perform the ‘Queen of the Night’ aria from The Magic Flute.